1/2" ceramic disc valves. Flow rate 8.5 litre/min at 0.1 bar, chrome plated brass. 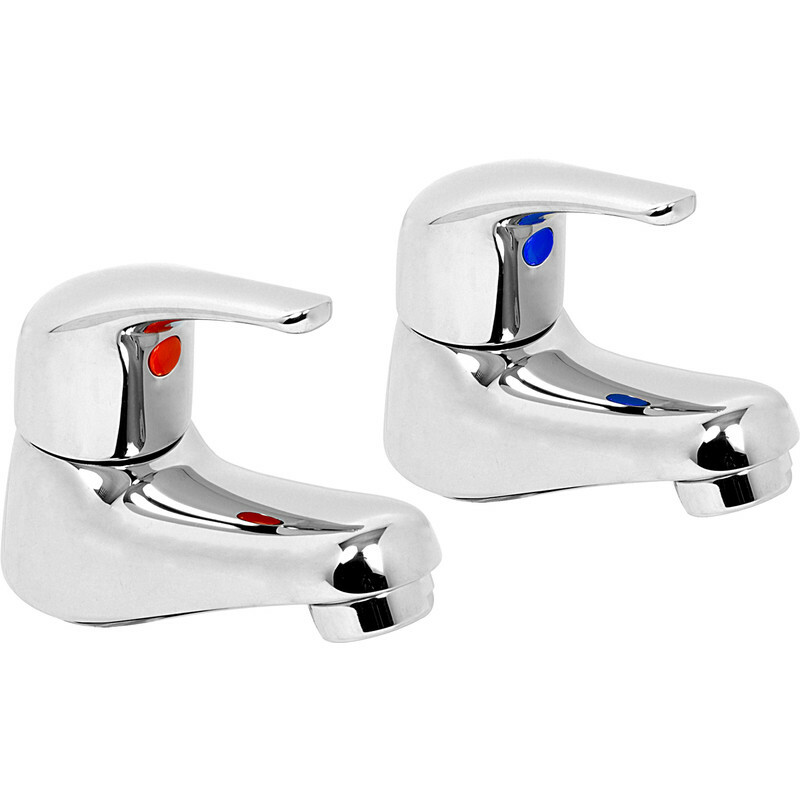 Deva Revelle Taps Basin (2 Pack) is rated 2.7 out of 5 by 3. Rated 4 out of 5 by Happy Tacker from Do what they should. Needed these as my wife now has trouble turning off conventional threaded taps tightly. Just wondering after a few days why conventional taps are still fitted? These make so much more sense and and look good as well. Having said that do look before buying if you can as they are not identical to the catalogue. Only fitted 4 days ago so lower score on reliability as I've yet to see. Rated 3 out of 5 by J400 from Frustrating taps When fitted, I found that both had hot cartridges inside (they both opened anti-clockwise). Complained direct to Methven (suppliers) who were quick to send two replacement cartridges-3 times, as each replacement pair was incorrect for the taps. Finally they sent a pair of cartridges and headsets to be sure of a fit. So, after a week and a half, all is OK. Taps are fine (but not exactly like their picture, as screw covers are chrome, not red and blue) and it's a shame the company did not get it right three times on the trot, as their staff were helpful and couldn't be quicker off the mark. My advice-take them out of the box at Toolstation and check them H should go a quarter turn clockwise and C should go a quarter turn anti-clockwise (to open). Rated 1 out of 5 by Neil knows from Not as shown Sadly I had to return these taps as they are not as shown in the catalogue. They were to match existing bath taps in a customer's bathroom but they are different. Instead of having a red and blue marker the taps are etched H and C.